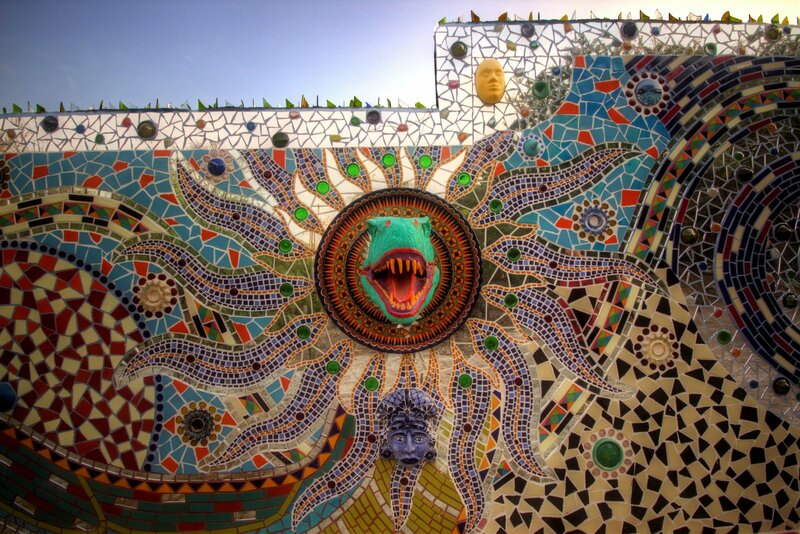 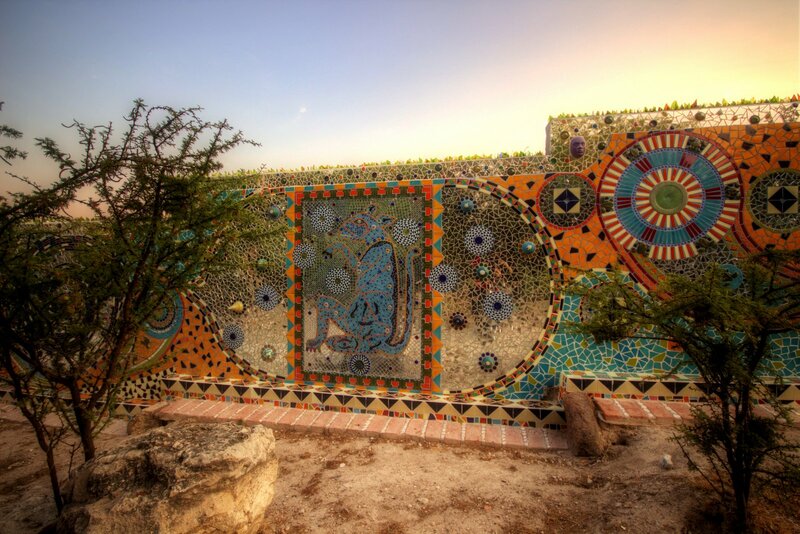 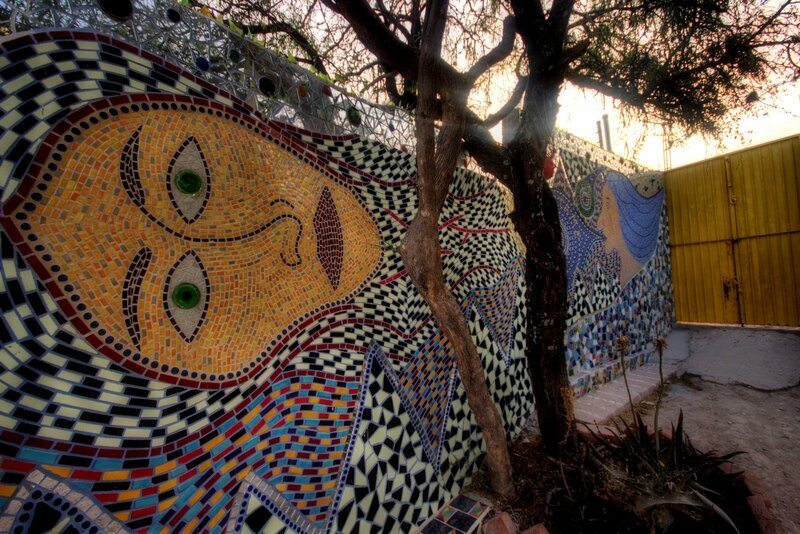 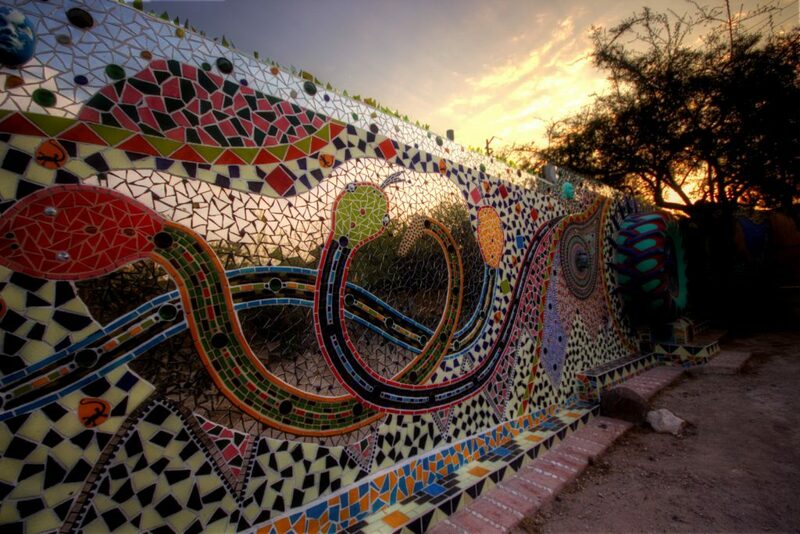 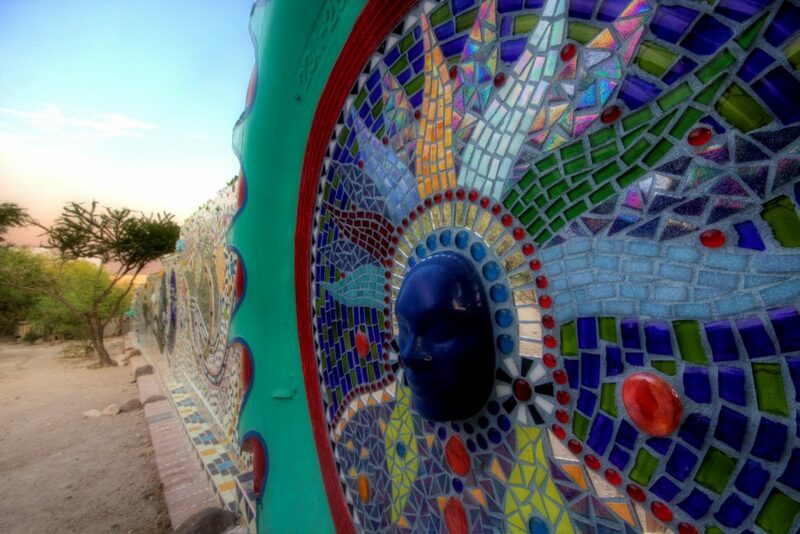 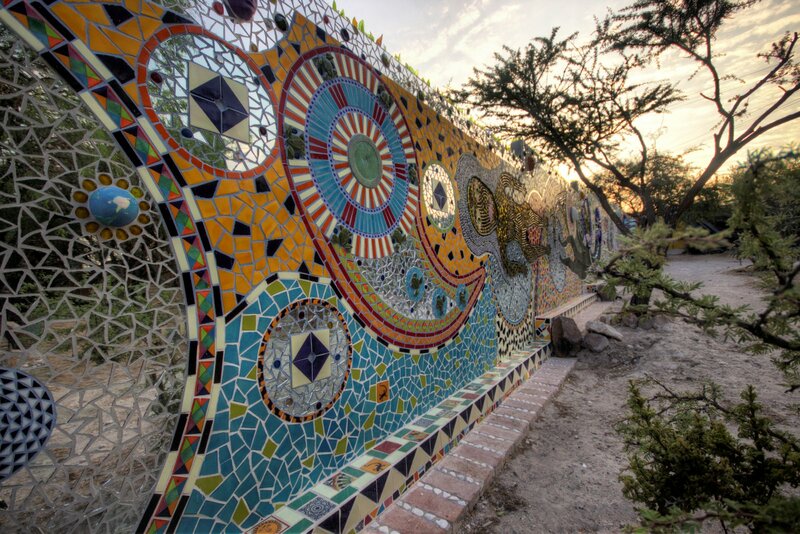 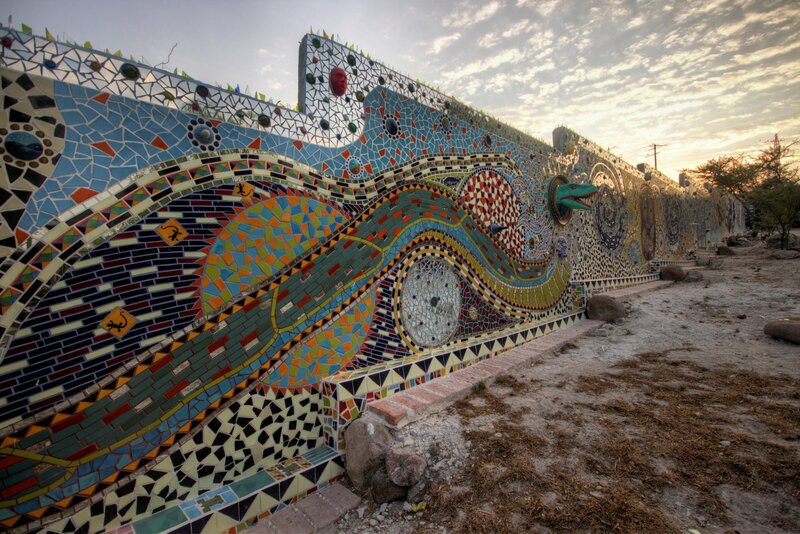 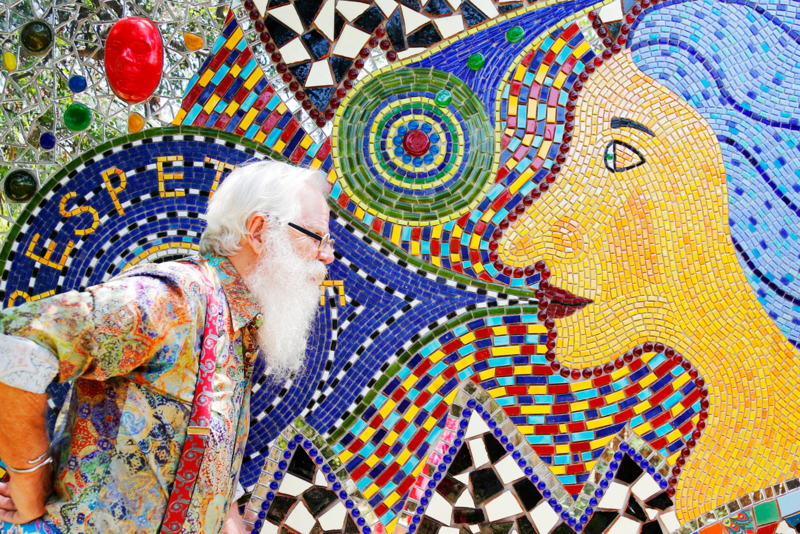 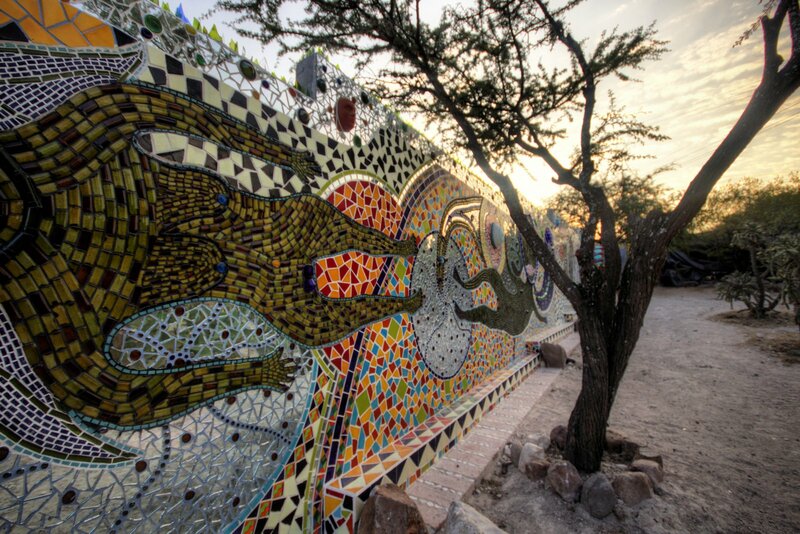 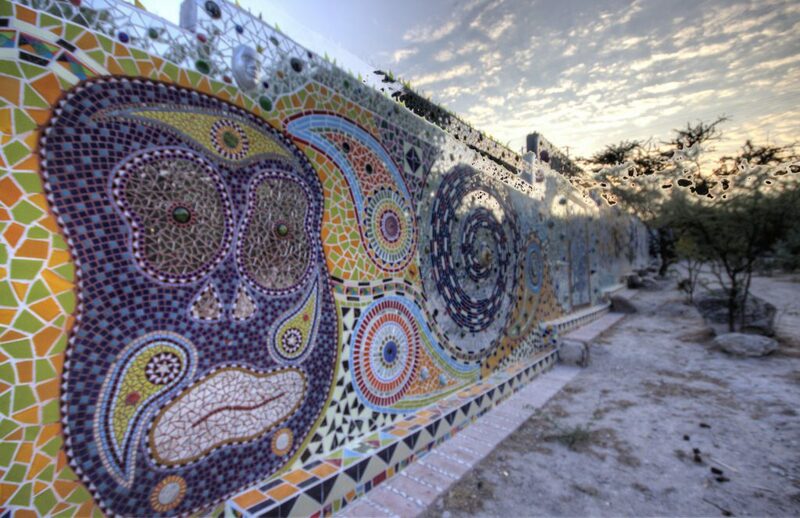 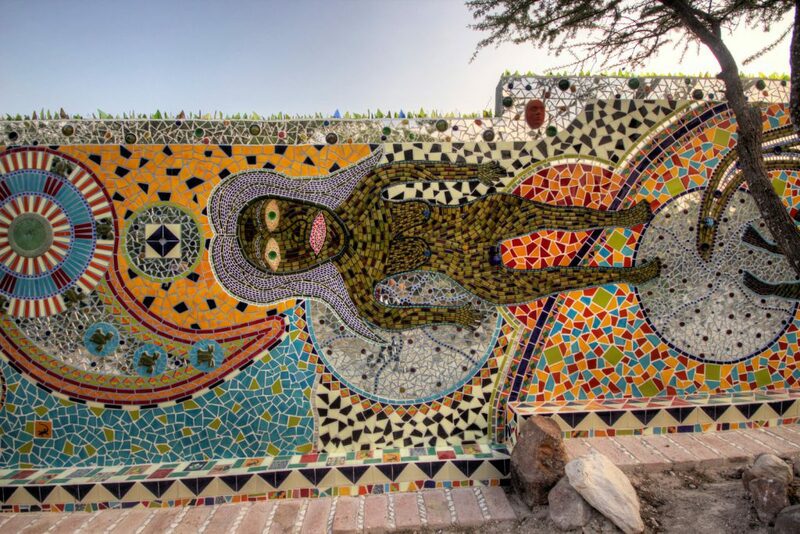 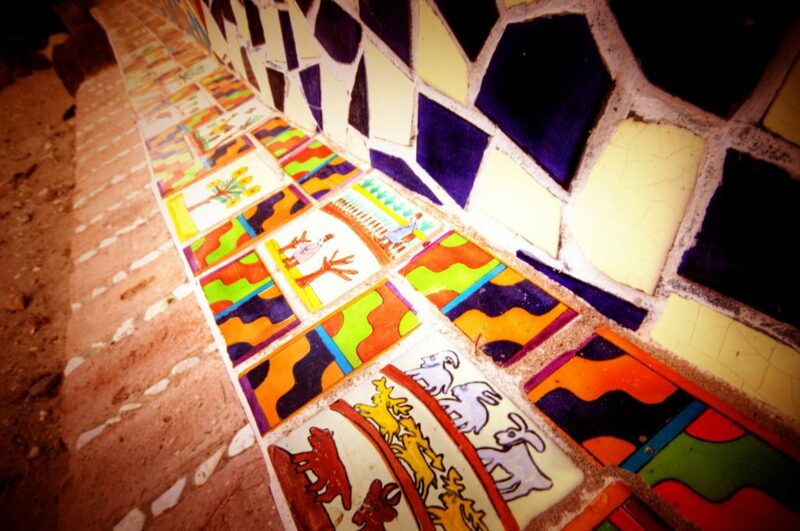 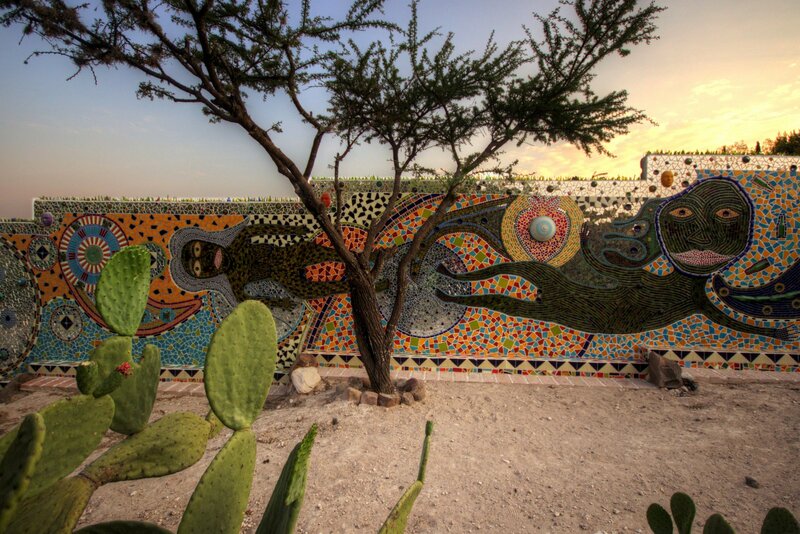 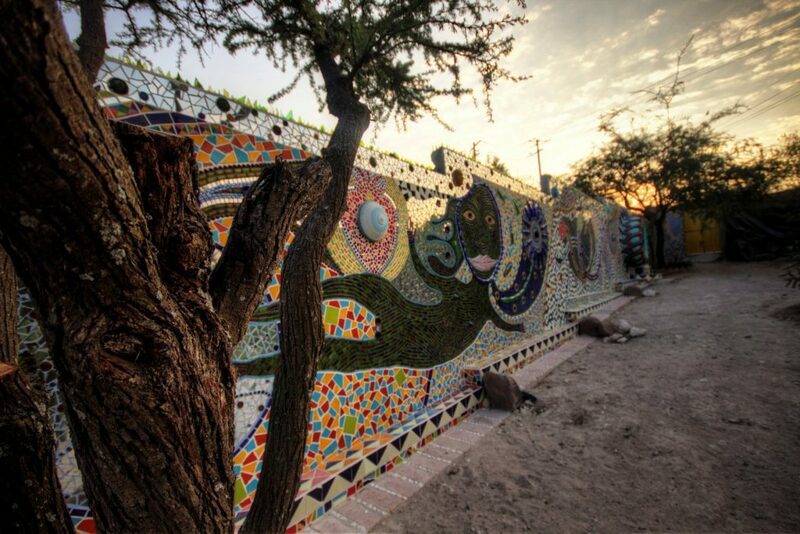 Kismet Street is an ongoing wall mosaic along the perimeter of Casa de Las Ranas. 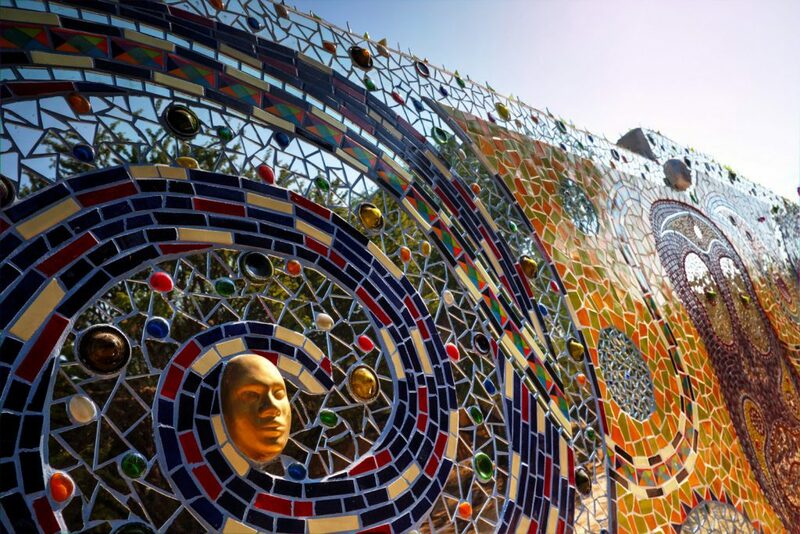 At this point it is still a work in progress and spans 150 meters of mosaic dream experiences. 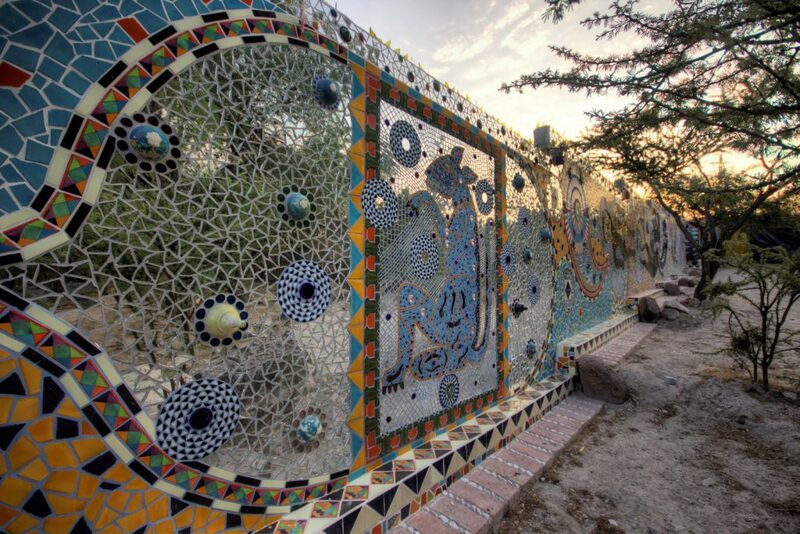 The wall is the result of wishing for more privacy for the McLauchlin-Schultz dogs to roam. 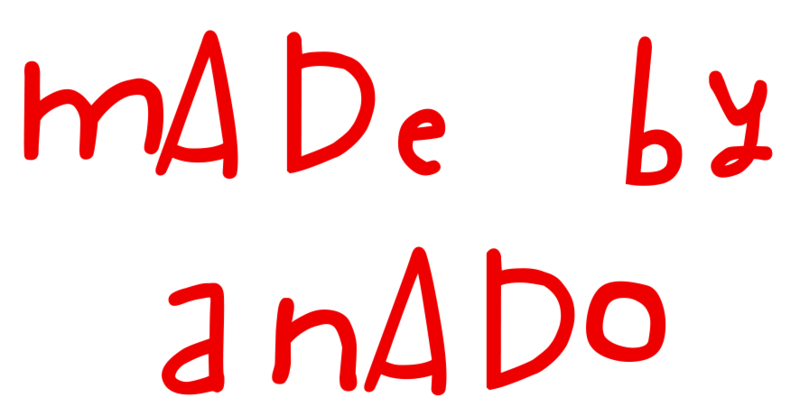 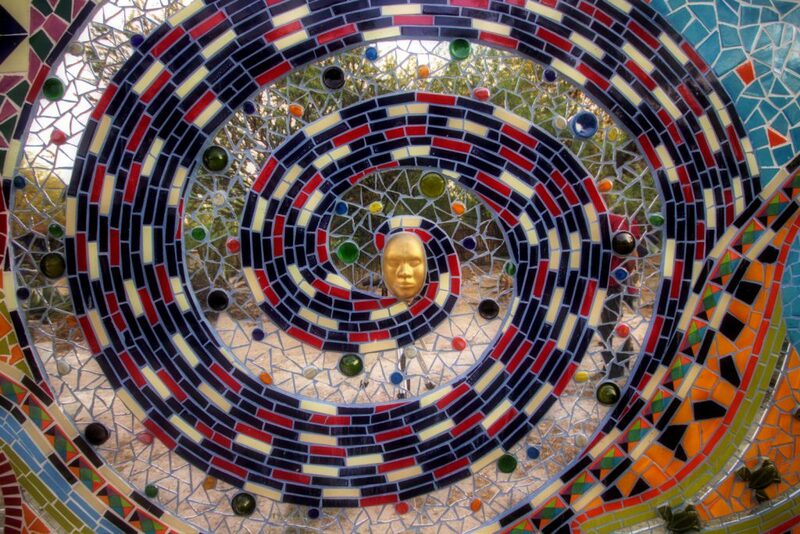 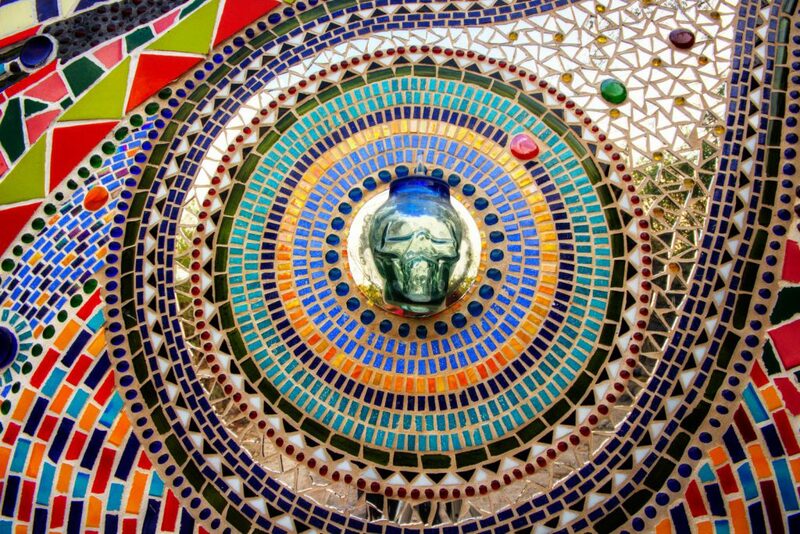 In the Spirit of “all that is adorned and glorified”, Anado and his crew began to spontaneously mosaic the dreams that Fate had to offer. 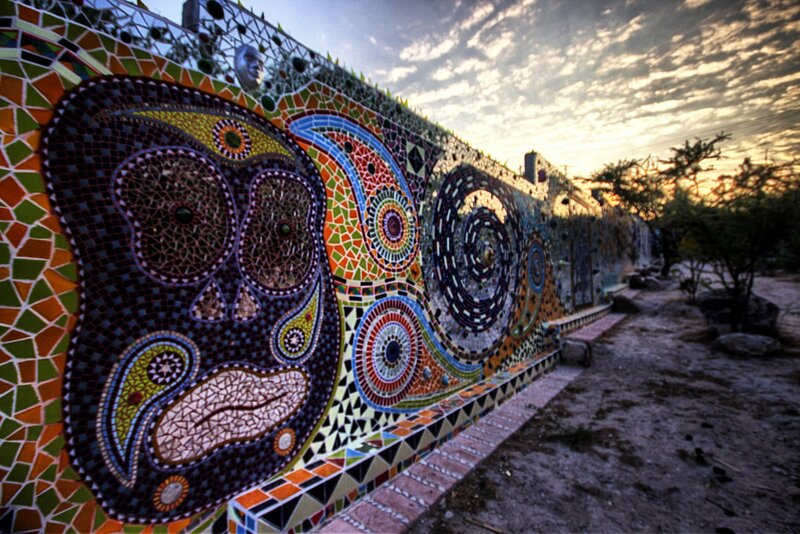 Anado had a dream while living in New York as a young man that he was on a lane called Kismet Street. 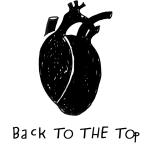 The next morning he looked up the definition of kismet and found that it means fate. 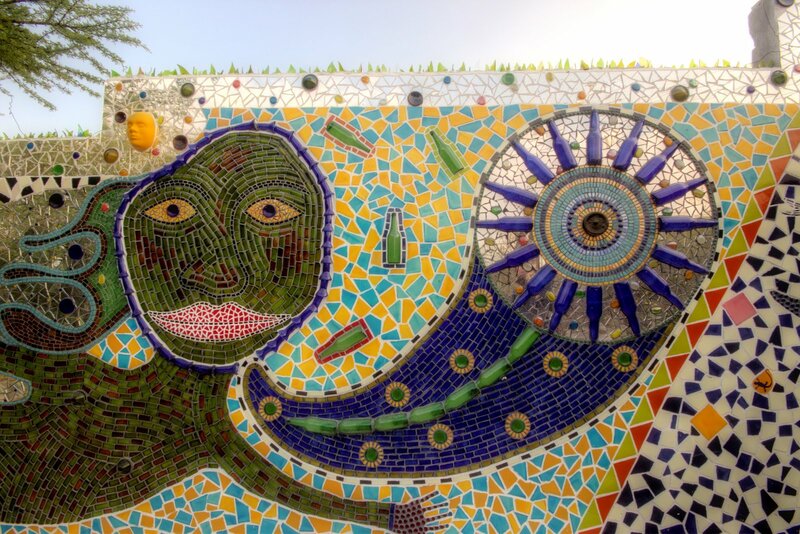 There is a spontaneity and flow in this imaginative construction that embraces and lures the eye of the viewer and invites a dialog of random joy…stay tuned for more joy.